Pools By Design are equipped with the skills that will transform your existing pool or spa into a new and improved state. 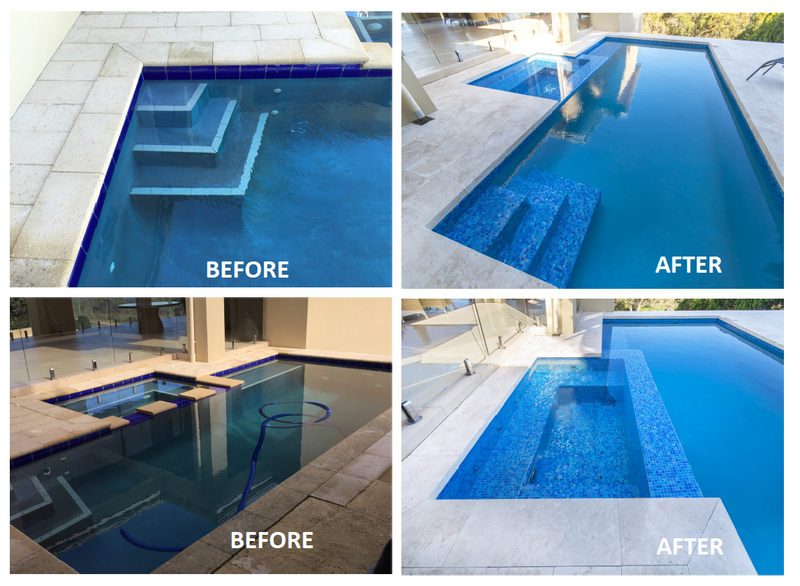 We offer a free quotation, no obligation service so that you can discuss with us all of your pool and spa remodelling, refinishing or restorative ideas and ambitions. With expert advice, we promise a transformation you will love with our swimming pool designs and guidance, your old pool will be unrecognisable and as good as new! A pool renovation is the perfect way to re-vamp the look of your yard, and you can achieve great results with Atlas Pool Renovations services. It can be as simple as giving your pool or spa a makeover with a new pool finish or pool paint job. For solid advice on how to improve the look and feel of your pool, contact us for refreshing ideas and a free quotation, we promise to give you plenty of options in a service that will suit all of your pool and spa renovating needs.